THE Thokozani Khupe-led MDC-T has promised to create jobs for all working age citizens in the country if elected into power, saying it was a shame that many people have never held a payslip due to the high levels of unemployment. Unemployment in the country is estimated at 90% due to the economic crisis that has seen many companies closing shop, with government accused of pushing economic policies that scared away investors. Party spokesperson, Linda Masarira said her party would guarantee workers' rights when it gets into government. "As we go towards 30 July, we are facing a majority of citizens out of work. An MDC-T led government, through production, devolution and support for innovation, will make sure that Zimbabweans carry a pay slip once again," she said. "An MDC-T led government will enact legislation that will ensure that the environment is conducive for investment, focusing more on domestic investment as the black majority have to be owners of the means of production." Masarira said the MDC-T valued workers' rights as it was born out of a labour movement. "Its leadership understands the plight of workers as they have been part of the trade union movement. Our president Khupe started her trade union career in 1987 when she served in the Zimbabwe Amalgamated Railway Workers Union. Later, she became the secretary of the Zimbabwe Congress of Trade Unions women's advisory council," Masarira said. "She defended workers under the diabolic Economic Structural Adjustment Programme. She was at the forefront of the workers struggle. Together with the late Morgan Richard Tsvangirai they worked tirelessly in the trade union movement to defend the rights of workers in mines, factories, farms etc. As a leader, she fully knows the plight of workers and if workers want an ally in State House then President Khupe is the right choice." Khupe will be challenging President Emmerson Mnangagwa, Joice Mujuru of People's Rainbow Coalition, Nelson Chamisa of MDC Alliance and Nkosana Moyo of Alliance for People's Agenda, among others, in the presidential race. 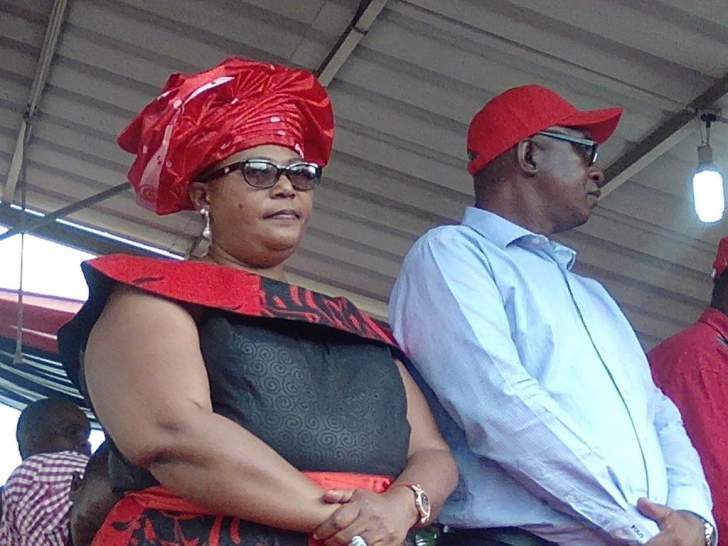 Masarira said as a veteran trade unionist, Khupe was prepared to fight for the workers to the last drop of her blood. "A vote for MDC-T and Khupe is indeed a vote for a better Zimbabwe for all," she said.